www.rumorelaw.com | South Florida Law Offices of C. Anthony Rumore, P.A. | Attorney for Commercial Real Estate Purchases, Sales, Contracts & Financing, Title Examination and Insurance, Commercial Leases, Residential Real Estate Transactions. Nearly all business owners, real estate developers, investors and buyers and sellers of commercial and residential real property face real estate law issues at one time or another. Matters like this can be routine and uneventful. However, if you are a business owner or investor, you know that the complexity of real estate law can put an important purchase agreement on hold, can limit the acquisition of title insurance, and can impede important real estate development transactions. One of the most important investments you or your business will make is real property. 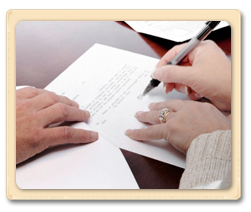 C. Anthony Rumore, P.A., can guide you through the entire process of your real estate transaction. Whether a commercial or residential sale or acquisition, we can prepare and review your contract, sale and purchase agreement, and your brokers agreements. We can assist in clearing title, securing title insurance, closing on the sale or purchase, and perhaps most importantly, ensuring you understand your rights, obligations and the costs associated with your real property transaction.